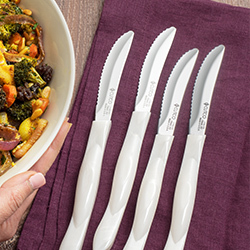 From everyday to gourmet, Cutco offers a variety of knife sets that fit your family's needs. 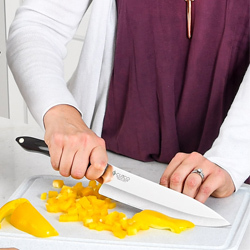 Sharp American-made kitchen knives make prep work fast and easy. These quality knife sets will be passed down for generations. Forever Sharpness Guarantee Your Cutco knives will stay sharp for years. But, when the time comes for a little TLC, send it back for FREE factory sharpening. 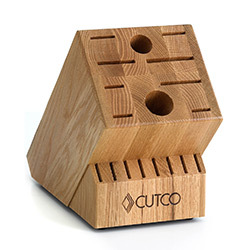 Forever Performance Guarantee We hold our products to the highest standards, so if at any time you are not happy with how your Cutco products perform, we'll correct the problem or replace it. 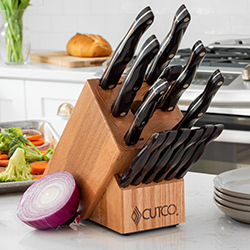 A knife set for every kitchen. 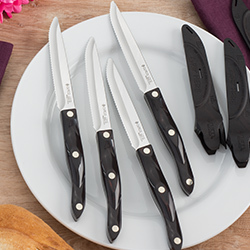 Sharp American-made cooking knives make prep work fast and easy. 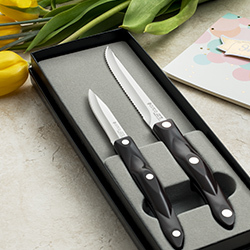 Every knife you need, safely stored in a block or tray.